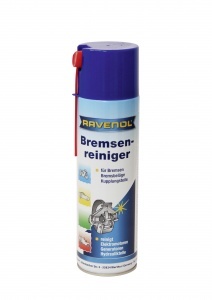 RAVENOL Brake Cleaner Spray is a highly effective solvent-blended brake cleaner aerosol for the degreasing and cleaning of brakes, brake linings and clutch parts. Also suitable for the cleaning of electric motors, generators, hydraulic parts and many other metal components. It's also very good as a general car body cleaner - several of our motorsport partners use it to keep the car gleaming during race weekends. Just a quick spray and a wipe over clears all the muck with no trace of smearing as with cheaper cleaners. We even use it in the RAVENOL workshop to clean paint brushes after using Hammerite - just spray the bristles and squeeze in a paper towel. Please ensure that all devices are switched off before application. 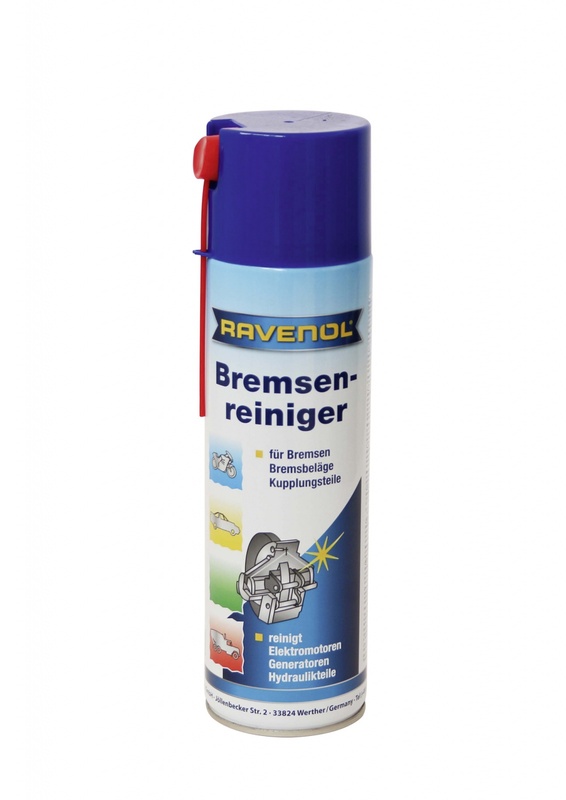 To remove brake fluids, oil, greases and other contaminants from brake linings and drums, generously coat the parts to be treated with RAVENOL Brake Cleaner Spray, allow to drip-dry and wipe off. If necessary, repeat the process. Afterwards the cleaned and dry metal parts can then be used immediately. Please note : This product is not suitable for use on rubber or plastic components. Provides easy and clean installation of all parts. Received a tip about using it as a general cleaner, not just brakes. It works amazing, really good stuff. Recommend it.